Drought-tolerant, industrial oilseeds such as Camelina sativa (camelina) grown on marginal land are being considered as feedstock alternatives to meet the increasing biofuel demand and reduce the dependency on water and food resources. However, crops grown on rural, marginal lands are not well-connected with transportation networks and biofuel plants. Transportation routes and biofuel plant development should be optimized for sustainable biofuel development. 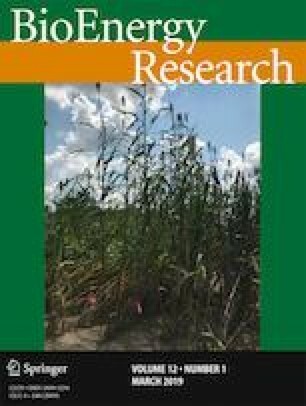 This study aimed at developing a supply chain optimization model for biodiesel produced from camelina oilseed. A mixed integer linear programming (MILP) model associated with geographic information system (GIS) was built. Three echelons of camelina oilseed supply, biodiesel production, and biodiesel and by-product (livestock meal) demand were considered to optimize the numbers, locations, and capacities of new plants, transportation routes, and the utilization rate of existing plants at a minimum cost. A case study was conducted for the northern Great Plains (NGP) region of Montana, South Dakota, and North Dakota. Transportation cost compared to plant construction cost was a decisive factor in supply chain configuration. The model developed in this study simulates minimum cost transportation routes directly through the GIS network analysis, which is differentiated from other studies analyzing the shortest routes in GIS and calculating their transportation costs in models. This is beneficial in seeking economic routes which incorporate multiple modes for regions having a spartan infrastructure. The authors acknowledge the cooperation of Kristin Lewis, National Transportation Systems Center (Volpe) and Curtis Price, South Dakota Water Science Center (USGS Enterprise GIS team), for their assistance. This research was supported by funding from the North Central Regional Sun Grant Center at South Dakota State University through a grant provided by the US Department of Transportation, Office of the Secretary [grant number DTOS59-07-G-00054].